Scientists have launched a scheme to get children interested in botany as part of the events marking the 200th anniversary of Charles Darwin's birth. London's Kew Gardens has announced the £2m science project targeting primary schools to "jump-start" an interest in plant sciences. Schools across the country will be given equipment to help pupils carry out science experiments and activities. It comes as the country is said to be facing a skills shortage in botany. 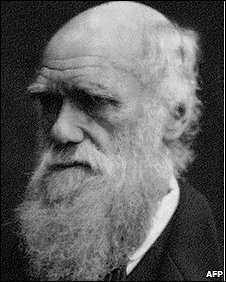 Darwin, who was born in Shropshire on 12 February, 1809, proposed in On The Origin of Species that life evolved by natural selection over millions of years. Professor Angela McFarlane, from Kew Gardens, said: "We are facing a general skills shortage in science in the UK and nowhere is that more acute than in botany. "Yet all life depends on plants - we eat them, wear them, live in them and most importantly they maintain the atmosphere and counteract climate change by absorbing CO2 and turning it into plant material. Moreover, there is a lot we do not know about plants." The Great Plant Hunt will see 23,000 "treasure chests" delivered to every state maintained primary school in the UK by this Spring. Children will be encouraged to discover plants in the wild - from school playing fields to weeds growing in the cracks of pavement.